Christine and Dean both spent summers on the Cape growing up, so it was a clear choice when they were deciding where to get married. Since their wedding will have a beautiful, beachy feel they wanted something different for their engagement session. 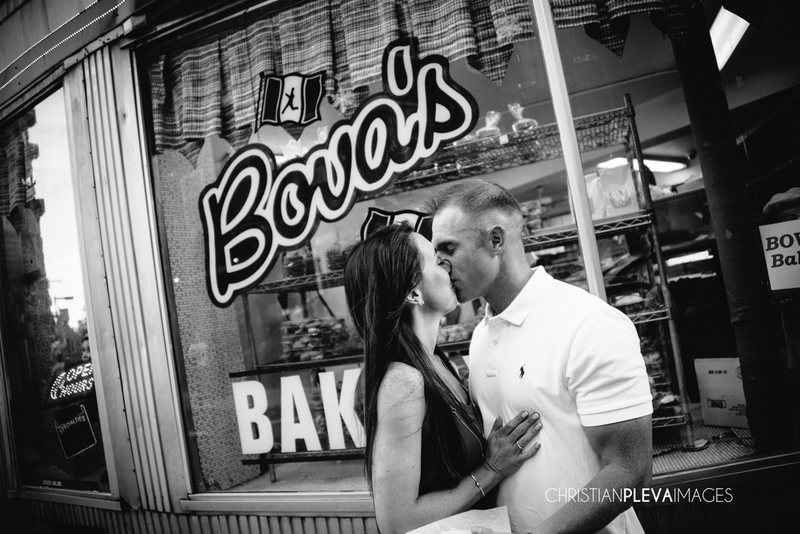 A city back drop was a perfect balance and because they both love the North End (especially Bova's!) it was an ideal place for the session! 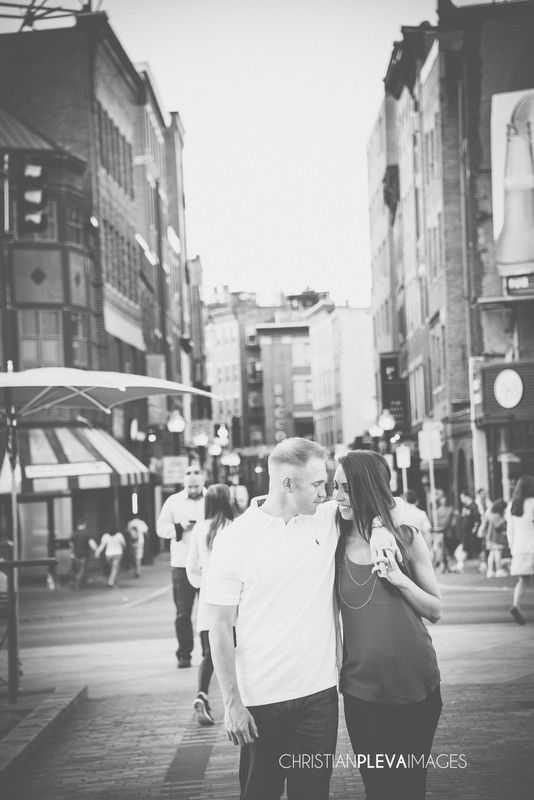 We started at Christopher Columbus Park and made all of the important stops....a first date spot, a favorite late night bakery.... We had so much fun laughing with this couple, it didn't feel like we were working at all! 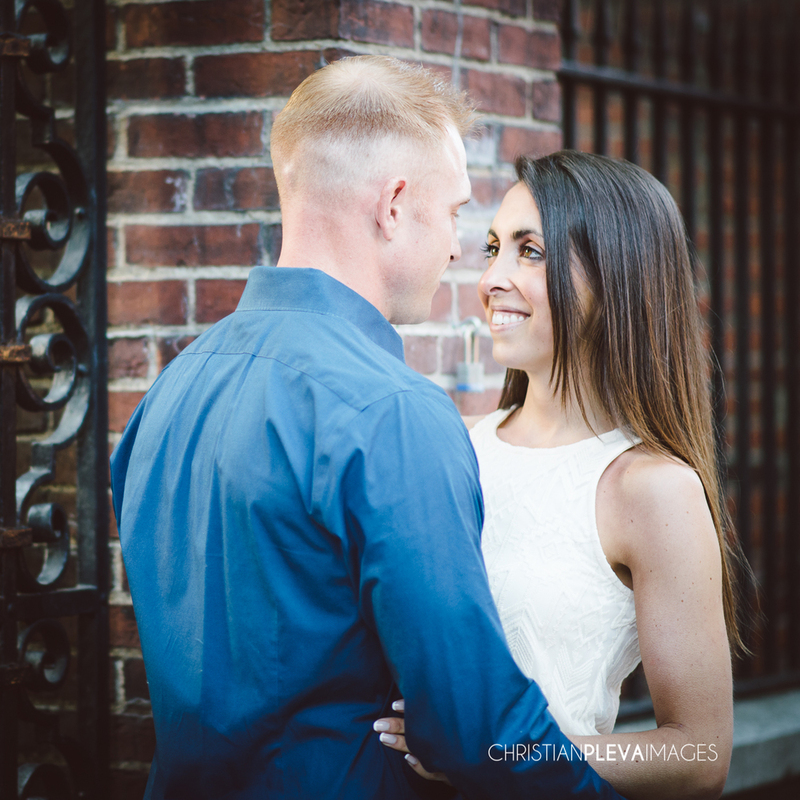 Christine and Dean met while both attending Bentley University. They purchased a condo and immediately began with the renovation plans! After countless decisions on tile, paint and design choices... Christine had enough! One day before Dean was about to leave for a guys trip, he asked her to meet at the condo one more time for last minute paint choices. Begrudgingly, she made it about an hour and a half late to make the paint decisions. She is so happy she went though, because while they were there, Dean asked Christine to join him on the balcony to watch the sunset. Christine was enjoying the beautiful scenery in her favorite spot in their new home, when she turned around Dean was there on one knee, with their dog beside him asking her to marry him! Although, she doesn't remember much of what happened next, I guess we all can assume she said yes!!! We can't wait to work with you guys in Mashpee next June for your wedding and hope you enjoy this sneak peek in the mean time!! !